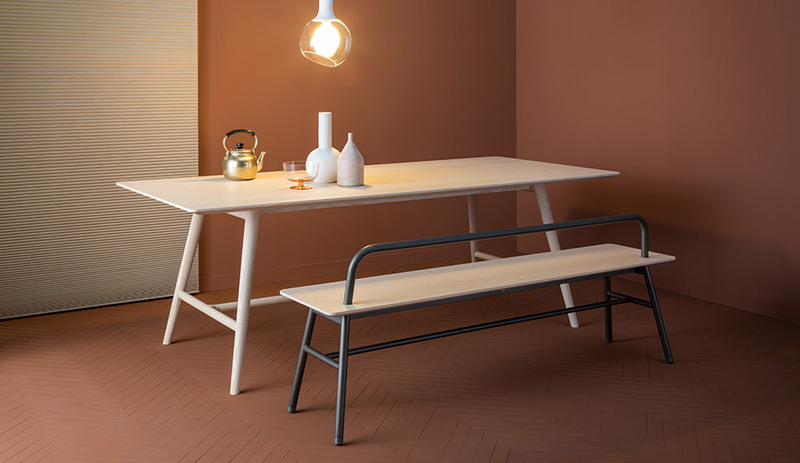 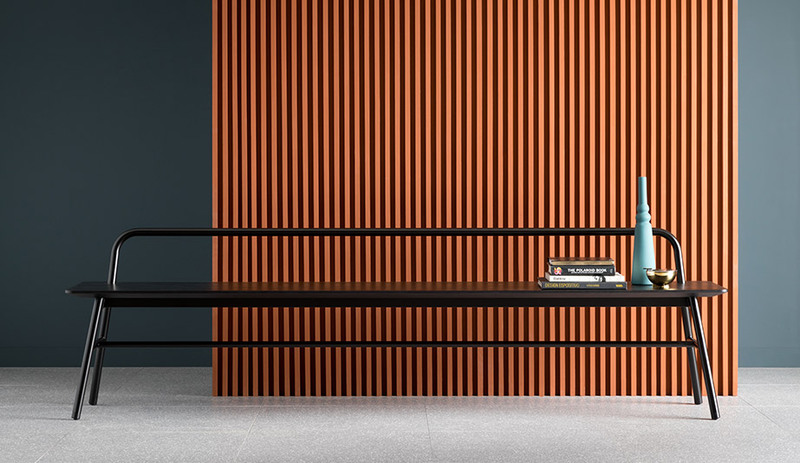 Milan-based studio Metrica has expanded its collection for Australian design brand SP01 with the introduction of 10 new pieces, including the Holland bench and desk. 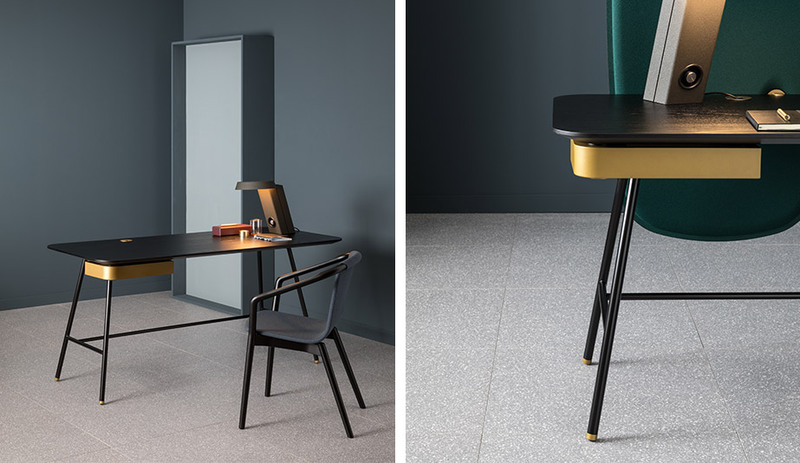 The two pieces complement an existing dining table, referencing its sleek and sophisticated lines and angles and broadening the material palette: both pieces are available in natural, carbon-stained or grey-lacquered ash with a pewter, black or satin-finish brass frame. 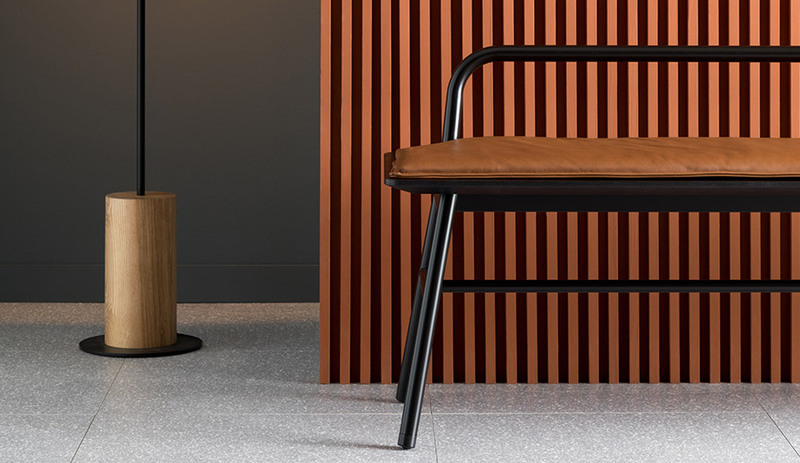 The bench is available in two lengths and can also be built with or without a backrest, plus an optional seat pad.